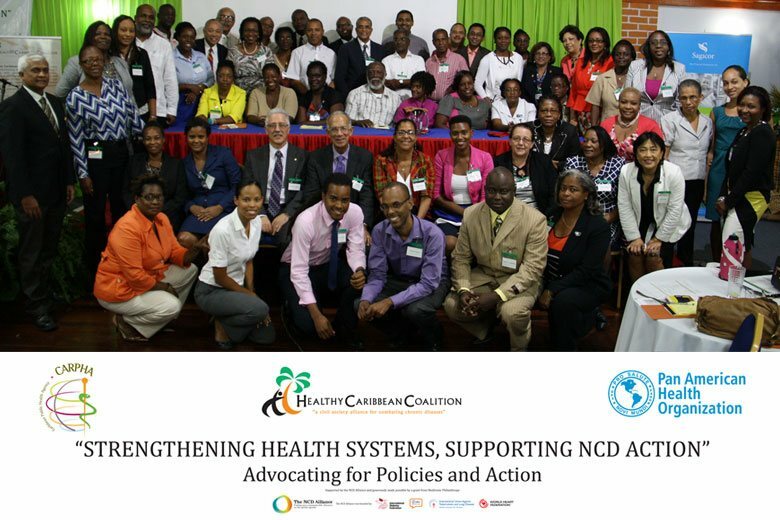 On Wednesday October 22, 2014, a Caribbean Health Systems Strengthening (HSS) Meeting hosted by the Healthy Caribbean Coalition (HCC) in partnership with PAHO/WHO and CARPHA took place in Dominica. The meeting was supported by the NCD Alliance and generously made possible by a grant from Medtronic Philanthropy, and was one of the outputs of the sub-grant titled “STRENGTHENING HEALTH SYSTEMS, SUPPORTING NCD ACTION” awarded to the HCC/CARICOM, Brazil and South Africa by the NCD Alliance. 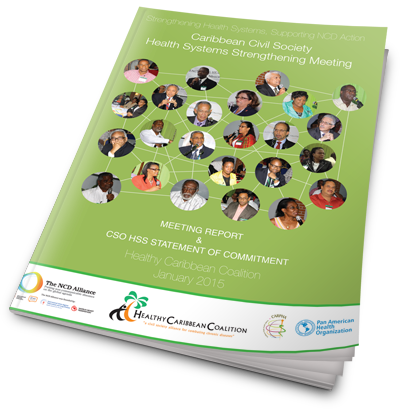 The goal of the meeting was to encourage a greater understanding of what HSS means in the Caribbean and provide a platform for evidence-informed CSO-led NCD advocacy within the context of HSS.